The year is 1464 BC, and Nakht's family is moving to the city of Memphis. Nakht, who is studying to be a scribe, keeps a journal of the many sights and sounds of the bustling city — temples and pyramids, cargo ships, a hippopotamus hunt, even a tomb robbery. 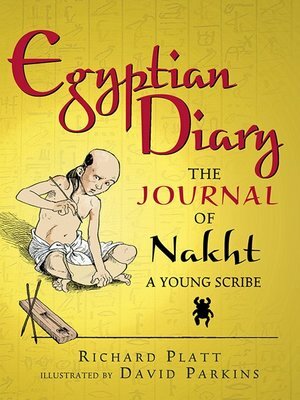 Presented as a lively diary, here is an invitation for readers to witness firsthand what life was like for one boy in Egypt 3,500 years ago.